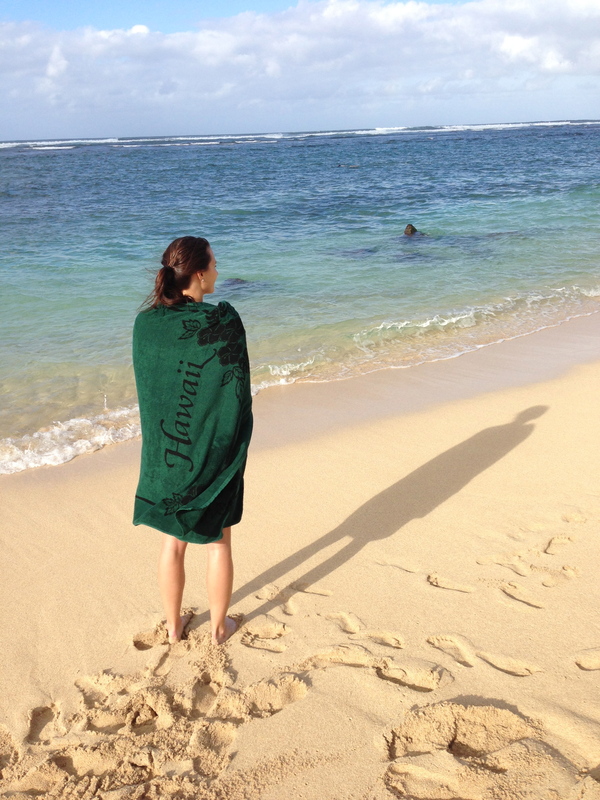 … is to figure out how to watch the IU basketball games in Hawaii without our Direct TV package. As I mentioned yesterday, Daniel and I could be living in a hotel for up to two months; it’s highly unlikely that the dumpy efficiency we’ve booked is going to have the Big Ten Network. Any suggestions? One of my best friends in the whole wide world made this cookie. I’m sure it tasted pretty good along with the big W over Ball State tonight: 101-53. 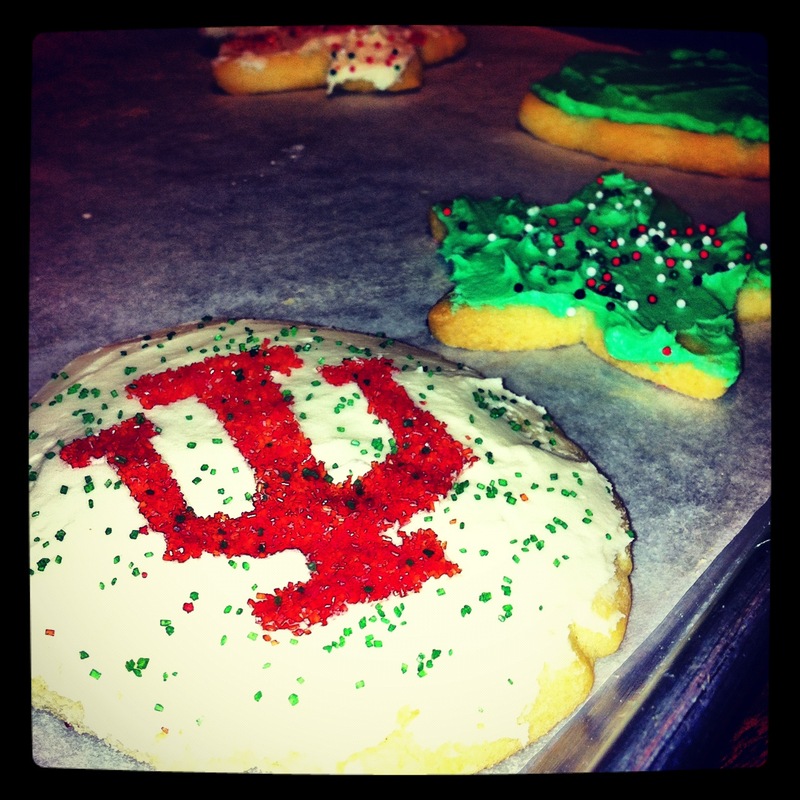 Hail to old IU ….. IU! 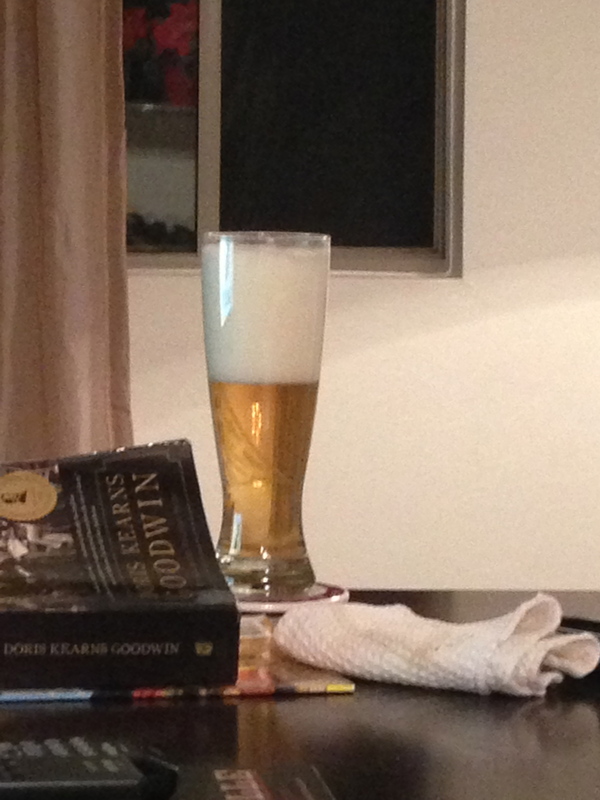 While watching the basketball game I had the opportunity to heckle my father-in-law for his pouring skills. I LOVE foam. On my cafe mistos from Starbucks. 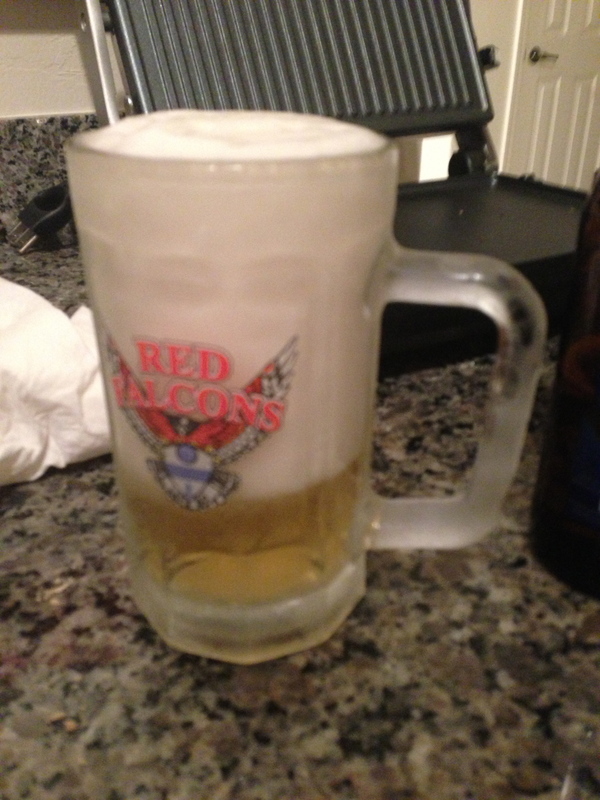 Not so much into 4 inches of head on my beer, however. Eventually, Daniel was ready for another beer. I decided it would be nice of me to pour it for him; the ulterior motive was that I’d soon be able to rub it in my father-in-law’s face. Below is what you call K-A-R-M-A. After shutting up about the beer and finishing the game, we curled up to watch It’s a Wonderful Life. Now that Clarence has his wings, maybe he can help us out with the Big Ten Network?! Tags: sports. Bookmark the permalink. Previous post ← The Endless Leftovers.